Holidaymakers looking to enjoy some affordable fun on the slopes without having to cut back on expenses such as ski insurance have been pointed in the direction of Italy, Bulgaria and Slovenia. According to the Ski Club of Great Britain, these countries represent excellent value as winter sports holiday destinations, meaning that people will not need to scrimp on their skiing or snowboarding travel insurance. 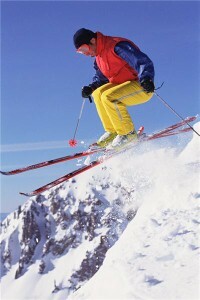 Betony Garner, a spokesperson for the association, also suggested that countries in eastern Europe which do not use the euro are proving to popular with ski enthusiasts. She added: "Make sure you have travel insurance and that travel insurance covers you for what you are going to be partaking in." Meanwhile, the Ski Club of Great Britain claimed in March that skiing and boarding conditions in the Alps and Pyrenees are as good today as they were any time during the past 25 years. It told holidaymakers hoping to take advantage of the excellent conditions with an Easter getaway to expect good cover off-piste and deep snow bases.